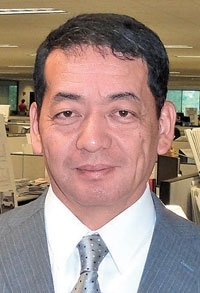 Shigeki Terashi: "A local chief engineer is more familiar with the market, with the customers, with the uses and conditions that the vehicle is subjected to. Localized chief engineers are better." DETROIT -- Aiming to give more autonomy to its U.S. operations, Toyota has intensified efforts to appoint Americans to the powerful job of chief engineer for vehicles sold here. The elevation of three U.S. engineers to head development of the Venza, Avalon and Tundra began last year. But the movement, which is radical for Toyota in light of its traditionally centralized corporate culture, gathered momentum after this year's recall crisis. The first two engineers were promoted in 2009, and the most recent was named this month. Chief engineers hold one of the most important posts at Toyota, overseeing everything from development and design of a new model to its manufacturing and supply chain. Toyota previously had relied solely on Japanese engineers in this role, even if they were developing vehicles sold only in North America, such as the Avalon sedan or Tundra pickup. But the world's largest carmaker is now promoting Americans to top engineering spots to give local operations more input and autonomy, Shigeki Terashi, president of Toyota's North American technical center in Saline, Mich., said in an interview last week. "A local chief engineer is more familiar with the market, with the customers, with the uses and conditions that the vehicle is subjected to," Terashi said. "Localized chief engineers are better." Terashi, 55, was dispatched to the United States from 2000 to 2004 as a chief engineer to head development of the Avalon and another North America-only model, the Toyota Solara coupe. But times have changed, and Toyota needed a new approach. By 2008, when Terashi was sent back to the United States to head Toyota's technical center, the company had suffered its first operating loss in seven decades. Decision-making had become too centralized at the Toyota City headquarters in Japan. Local voices who knew the local market best weren't being heard. Terashi aimed to change that by promoting homegrown talent. The first non-Japanese chief engineers were tapped the next year. Randy Stephens took over the Avalon project, and Greg Bernas got the Venza crossover. This month Mike Sweers joined their ranks as chief engineer of the Tundra. The three have nearly 60 years of combined experience at Toyota, spokesman Bruce Brownlee said. Ideally, Toyota would appoint local chief engineers in other markets as well. But Terashi said it takes a long time for any engineer to bank the hours of experience needed. Toyota's U.S. operations have a leg up over units in other countries because of the automaker's long history here. Toyota set up its U.S. technical center in 1977 and was making cars here nine years later. "This takes a lot of time," Terashi said. "It's not enough just to hire an American as a chief engineer. The person also has to understand the way of Toyota manufacturing, the Toyota mind-set, culture and philosophy. So as a result, it took us some time to get to this point." Toyota's recall crisis added urgency to its push for deeper local roots. The company has recalled 10.8 million vehicles worldwide since last fall for a variety of problems. Executives say one reason for the troubles was failing to listen to warning signs from its far-flung affiliates. "When it comes to quality and product issues, it's very important to have the U.S. staff involved in judgments," Terashi said. "The quality problems accelerated the process."